Filmwax Radio Live presented by DCTV. Special guests are the documentary filmmaking team of Chris Hegedus & D.A. 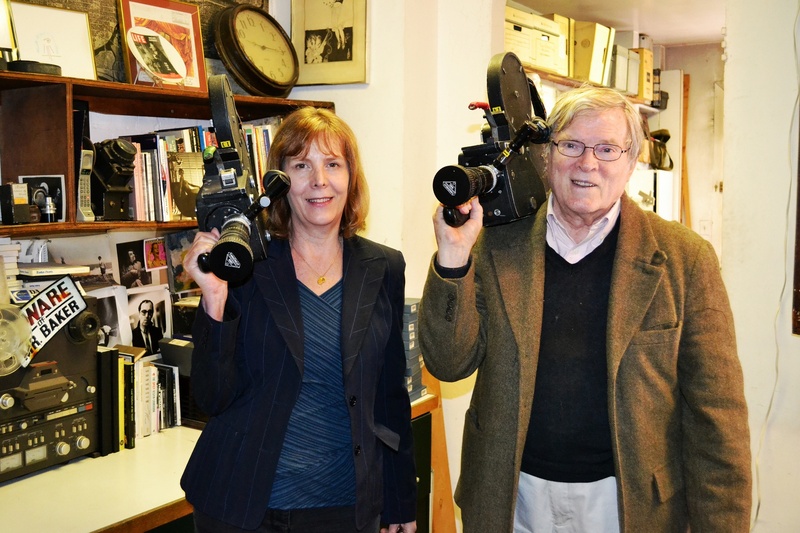 Pennebaker ("The War Room", "Kings of Pastries"). Their latest film, "Unlocking the Cage", follows the story of animal rights lawyer Stephen Wise and his quest to obtain persons' rights for particular species of animals including chimps, whales and elephants. This film follows Wise through a period of legal battles. The conversation at DCTV was recorded live in front of an audience and included the film's trailer and a clip from the film. We did not screen the film as it is about to enjoy a theatrical premiere at Film Forum on Wednesday, May 25th. Filmwax Radio is part of the ShowBriz Podcast Network and presented by Rooftop Films.